Cape Town – Government leaders should not make reckless statements, but rather show empathy towards South Africans, following the recent ratings downgrades, said Finance Minister Malusi Gigaba on Thursday. Speaking to journalists after an investor briefing hosted at Parliament, Gigaba admitted that the comments from fellow Cabinet ministers who had made light of the credit ratings downgrades were not helpful. The Sunday Times quoted Water and Sanitation Minister Nomvula Mokonyane as saying that South Africa’s junk status was an opportunity for South Africa to restructure its debt repayments. SAA chairperson Dudu Myeni also responded, agreeing with Mokonyane. “Let the rand fall and rise and emerge with the masses,” she was quoted as saying. Gigaba made it clear that government needs to not only show “an understanding of the downgrade”, but also show “empathy” with the many people who will be affected by the credit ratings downgrades. “It’s not only rich people and white monopoly capital that will be affected, but also the poor. The price increases as a consequence of the downgrades will have a spiraling effect towards poor people. They’ll bear the burden of this,” Gigaba said. He added that both President Jacob Zuma and the ANC’s national working committee (NWC) implored government leaders not to speak in a reckless manner on such issues. 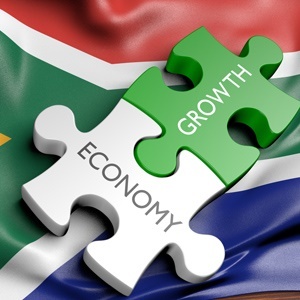 During the briefing with investors earlier, Gigaba said South Africa should not lose sight of “greenshoots” in the economy prior to the recent credit ratings downgrades. Addressing local asset managers and investors at Parliament ahead of his visit to Washington DC to attend the World Bank and International Monetary Fund (IMF) spring meetings, Gigaba named a number of positives in the economy. “Business confidence improved in the first quarter of 2017; the inflation outlook had begun to improve; the current account deficit had narrowed sharply; and March was the third consecutive month in which the manufacturing Purchasing Manager’s Index (PMI) expanded. These are positives we must not lose sight of,” Gigaba said. He acknowledged though that the downgrades to junk status were a “setback”. “We are fully aware of the negative impact ratings downgrades can have on government’s ability to borrow affordably, and on the private sector’s ability to attract foreign investment. We are also cognisant of the impact on society and the everyday livelihoods of South Africans,” Gigaba said.